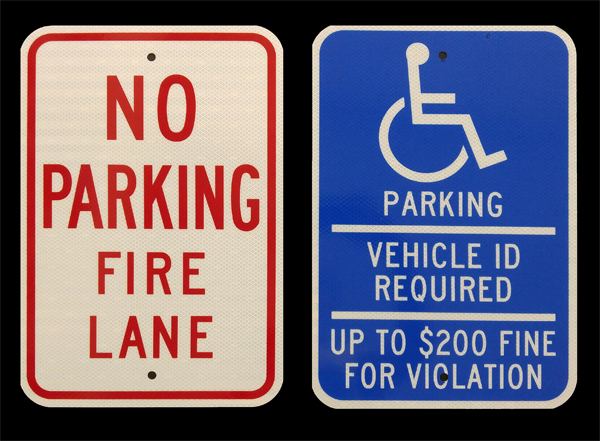 We warehouse a full library of common signs such as "STOP" to the more specific "Dumpster for Tenants Only". Browse the hundreds we have in our online catalog to see if we stock the sign that fits your needs. If for some reason we don't, we can work with you to customize signs to your situation.